Irina Dobrovetska (art): "В цветах". "In the flowers".2012.90х80.Oil canvas. "В цветах". 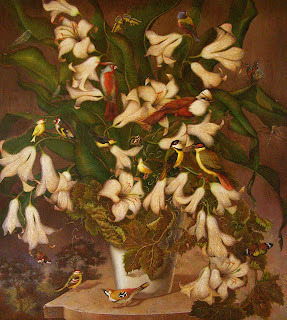 "In the flowers".2012.90х80.Oil canvas.